The volunteer Operation Snowball Board of Directors is kicking off the Operation Snowball Summer of '17 fundraising campaign from July 7th - July 21st. As our new fiscal year began on July 1 we reflected on our successes in the past year, but also acknowledged the reality of financial stressors created by state budgets and shrinking funding sources. In order to meet our mission of Operation Snowball we rely on the support of Illinois state prevention grants as well donations from foundations and dedicated individuals like you. Your donation helps Operation Snowball Inc. continue to provide: skill-building trainings to youth leaders and adult sponsors; assistance and training to schools developing a new Chapter; trademarked program materials and manuals to Chapters; coordination of regional and state conferences and provides resources through our website and newsletters. Your donation during this campaign will have a 2:1 match made possible by the generous donation from the Lillian and Larry Goodman Foundations. Your donation will have triple impact! 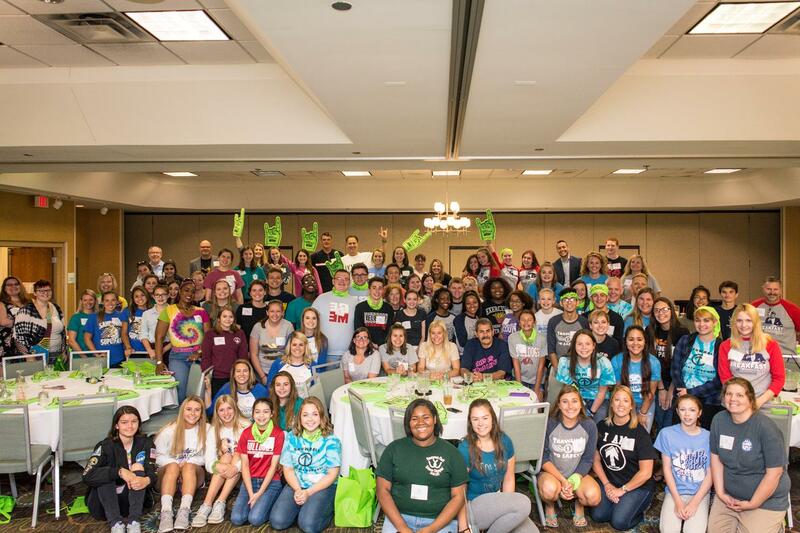 Annually there are 104,000 students in schools and communities throughout Illinois that are exposed to positive healthy messages communicated and role modeled by Snowball youth leaders. 15,000 students attend a Snowball event annually. A snowball event is an interactive experiential event lead by trained youth leaders. Youth leaders create positive social norming and facilitate discussions & activities that increases knowledge, skills and personal insight about how drug addiction, underage drinking and other harmful behaviors affect youth in their school years. Operation Snowball Inc. Thanks You for your donation! Look how far we are! I just wanted to share an update about our Operation Snowball Summer of '17 fundraising campaign. Our grand total with 2 days left is $4,599 of our $5000 goal. With your generous donation (online and offline) we are at $1,533. Your donation is then matched 2:1 Match from the Lillian and Larry Goodman Foundations ($3066). Wow! We appreciate everyone's support by giving and by sharing our link so other Snowball supporters can see our progress!!! Through the development of leadership skills, Operation Snowball (OS) shall be a youth and adult partnership, providing awareness and prevention of alcohol, tobacco, and other drug use, while encouraging healthy decision-making in an active community of caring. - OS been implemented in schools and communities ranging from rural, suburban and urban...from small towns to major metropolitan areas...with the ability to adapt components to address local conditions. - OS uses the powerful energy and influence of youth to create an atmosphere of positive peer support, recognizing youth as part of the solution. - OS program addresses Social Emotional Learning standards as youth develop attitudes, beliefs, behaviors, and cognitive skills that create healthy and competent adults. - OS utilizes SAMHSA’s Strategic Prevention Framework in developing the infrastructure needed for a community-based, public health approach.